Never mind that there have been 18 novels featuring Dave Robicheaux, a sure-footed, steadfast and compassionate detective who lives along the Bayou Teche in the small and slow-moving parish seat of Iberia Parish, Louisiana. The Glass Rainbow can be picked up and read cold, without a stitch of an introduction. Seven young women in neighboring Jefferson Davis Parish have been brutally murdered, with only the death of Bernadette Latiolais falling within his jurisdiction. At first blush, Latiolais seems to fit in with the other women who are apparently being targeted by a serial killer. In addition to being disadvantaged and at risk, her brother has had trouble with the law. Robicheaux agrees to meet with him, traveling to see Elmore Latiolais where he is incarnated and part of a work gang outside Natchez. He wants justice, insisting his sister was a good girl while imploring Robicheaux to investigate a pimp and drug dealer named Herman Stanga. The Glass Rainbow is powerhouse literary mystery thriller, unrestrained by genre. As the investigation deepens, Robicheaux learns Latiolais did not fit the characteristics of the other victims. The young girl was a high school honor student and already had plans to escape her situation with a scholarship to the University of Louisiana at Lafayette. That is not all he uncovers. With each new lead, Robicheaux begins to collect a number of names that are all loosely connected; if not for the murders, then for something else equally foul. Among them are Stanga; ex-con Vidor Perkins; the suspicious and affluent Layton and Carolyn Blanchet; the deputy sheriff Emma Poche; the ex-con and celebrity author Robert Weingart; the ancient area patriarch Timothy Abelard; and his subservient son, Kermit Abelard, who is also dating Robicheaux's daughter. His primary ally is his crass former partner and private investigator Clete Purcel, who often comes across as a liability as much as he is an asset as a friend and reliable lifesaver. Purcel is especially likable as an extra large alcoholic who dispenses with the thoughtfulness that Robicheaux typically exhibits. He also leans heavily on Iberia Parish Sheriff Helen Soileau, who is often forced to balance her role as a confident, admiring colleague and boss. Set against the backdrop of Iberia, James Lee Burke masterfully paints an environment as dense as the formalities observed by a culture that will feel out of time for urban readers. The blended vividness of his insight into the human condition, precise metaphorical descriptions of the surroundings, and wisdom that comes from a full life make for a compelling, authentic read from start to finish. About Author James Lee Burke. Burke is a Houston native who grew up on the Texas-Louisiana Gulf Coast. Before becoming an author, he worked as a pipeliner, land surveyor, newspaper reporter, college English professor, and social worker. His richly diverse life gives every character an additional depth not found in many books. Both his wife of 48 years, Pearl, and daughter, Alafair, are successful in their respective careers. Burke has earned dozens of awards for his work over the years. He also provides inspiration for writers in that his novel The Lost Get-Back Boogie was rejected 111 times over a period of nine years. Once it was finally accepted and published, it was nominated for a Pulitzer Prize. The Glass Rainbow By James Lee Burke Shatters 9.4 On The Liquid Hip Richter Scale. The Glass Rainbow moves slowly along in literary lushness while exploring people, relationships, and the capacity for flawed characters to keep dark secrets and justify evil deeds as Burke lays out seemingly unconnected threads and clues that cannot be guessed. It isn't toward the last tenth of the story that the various elements are pulled together in an explosive finish in 448 pages. 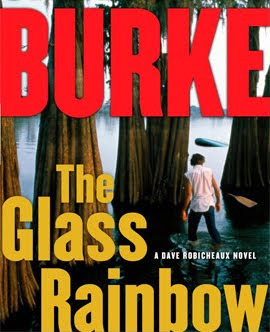 The Glass Rainbow: A Dave Robicheaux Novel by James Lee Burke is available on Amazon. 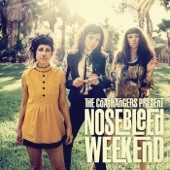 The book is also at Barnes & Noble. On iTunes, Will Patton narrates The Glass Rainbow, perfectly capturing the tone of the book and Dave Robicheaux. Patton is the same narrator who brought new life to On The Road by Jack Kerouac. 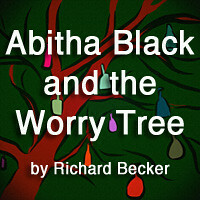 The audio times out at just more than 15 hours, unabridged.